VIPmimi.com is revolutionizing content marketing in China through the syndication of exclusive promotional content for lifestyle and travel businesses in China. As part of its ongoing drive to increase visibility for its clients' content, VIPmimi.com announced that with the signing of new partners it now puts its content in front of over two million daily visitors on China's top high-end travel and luxury lifestyle websites and mobile devices. New VIPmimi.com partners include MeishiChina.com, Douguo.com, and Meishij.net. These Chinese websites join over two dozen direct syndication partners and over 100 more websites in China who distribute and repurpose the hotel deals, dining specials, and airline promotions sent out by VIPmimi.com's network clients. VIPmimi.com says it provides content marketing not seen elsewhere in the world. Whereas press releases are usually distributed by marketing and public relations departments, smaller businesses instead send tactical campaigns that involve more advertising or sales-related materials. VIPmimi.com says it engages small businesses in China who usually have large marketing budgets to gain visibility. VIPmimi.com syndicates to partners via XML and also distributes content via its own proprietary email marketing database in China. 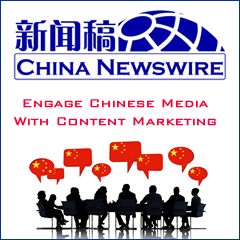 VIPmimi.com is run by Shanghai-based Boshiyuan Advertising, a digital marketing service firm operating since 2004.